Today’s “Cool Stuff” edition is a bit different: CharityBox is something I’ve been working on for the past 2 months! I think it’s a great idea (although I might be a bit biased) and wanted to share it with you all. 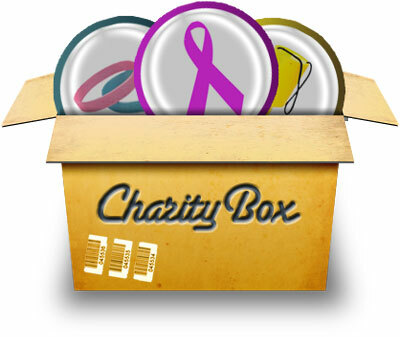 CharityBox is a browser extension that allows you to raise money for charities by shopping online. Links to online shops are automatically turned into affiliate links and if you buy something from that shop a percentage goes to charity. Beyond that though the extension also shows voucher codes giving you discounts and special offers. It’s currently available in Chrome and Firefox, so try it out and let us know what you think! We’re working hard to get a Safari one up and running, plus we’re constantly adding new features. For now, we’ve chosen one charity to which all the raised money goes to (this month it’s Dogs Trust), but we’ll be adding the ability for you to choose your own charities soon. We’ll also be adding a more social element to it all where you can see how much your friends have raised and for which charities. If this all sounds slightly familiar, you’re right: I’ve written about CharityBox before. Two years ago we won the second CharityHack with this idea and got flown over to San Francisco. Back then we couldn’t find the time to take the idea further and create a stable version. Well, now we finally have! Do you like the idea of CharityBox? Go ahead: install it, try it, tweet about it and raise money for charities!